cooked in grandma's iron skillet! Reversible cast iron grates offer the ability to choose both the distance to the fire and width of cooking surface for beautiful grill marks. 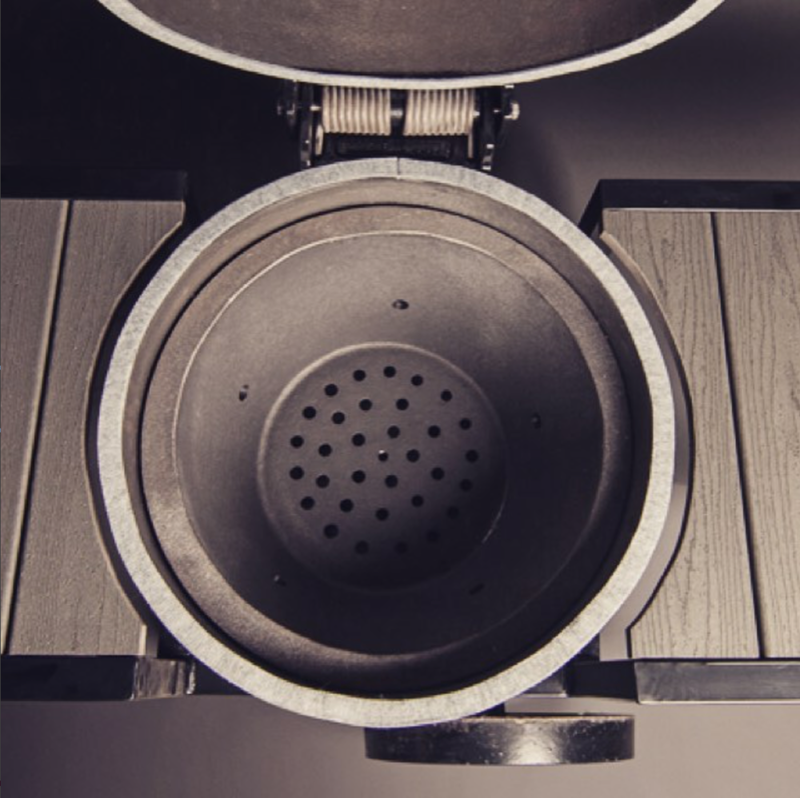 A dual-disc top vent and bottom draft door allows for precise temperature control for low and slow smoking. seal in flavor with the reversible flat searing plate. Bake bread, cook a pizza or whip up a dessert, with a surprisingly delicious hint of smoke flavor.